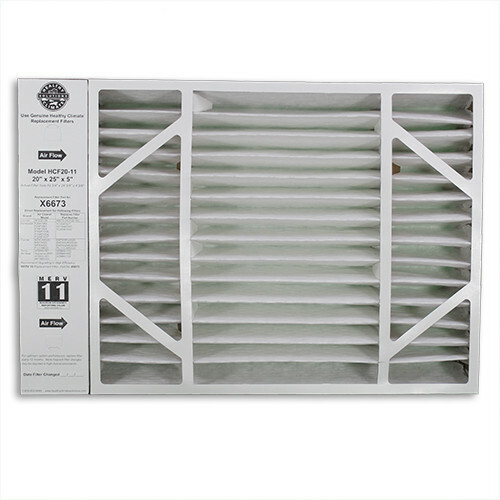 DiscountFurnaceFilter.com is the web's #1 source for the Lennox X6673 MERV 11 filter. Order your Lennox X6673 MERV 11 filter today and receive fast, efficient, FREE Shipping on Orders Over $125 (Continental U.S.)! 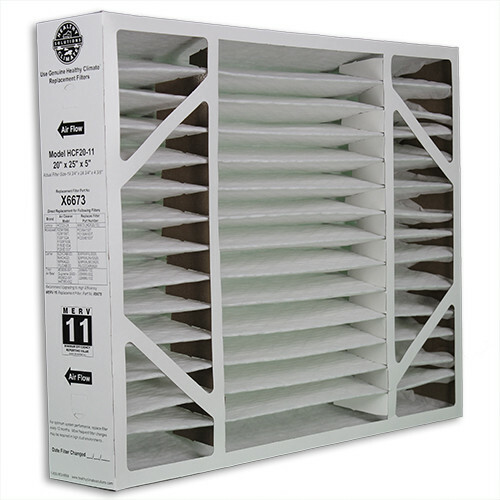 This MERV 11 X6673 filter from Lennox offers a 98% efficient filtration media capturing particles as small as 0.3 microns before they can collect on your coils. High-efficiency alternative to one-inch filters. Its larger media capacity allows for greater dust-holding ability. We sell only genuine, brand new OEM replacement filters. The Lennox X6673 is one of the most popular Lennox replacement filters on the market and DiscountFurnaceFilter.com is the web's #1 choice for low price, fast delivery and great customer service! We have the Lennox X6673 filter in stock and offer same day shipping for orders placed before 5:00 EST. If you have any questions, please Click Here to contact our Sales Department or call 888-623-4678. If you are reading this you probably know these filters are NOT "20x25x5". The actual dimensions are a bit smaller. Therefore, this cannot be purchased at your neighborhood big box stores. This filter is OEM and the price is okay. Fast delivery, even with "standard" service. Happy with this company and will continue to buy my filters here. I ordered the 2 pack of Merv #10 x6673 from DiscountFurnaceFilter.com for so very much less than if I were to have got them here in Denver. I received them within 3 days. Very happy and will not hesitate to use company again and again for my filter needs. User friendly website, variety of products, great price and extremely fast and accurate order processing and delivery. What more do you want? Great company to do business! Identical filter for much less $$$ than purchased locally. Quick shipping and outstanding customer service. DiscountFurnace Filter will have my repeat business! Great Product at a great price. Great customer service with DiscountFurnaceFilter.com. Would recommend them to anyone. Great filter at a great price. 40% less than I was quoted else where. You're reviewing: Lennox X6673 - Healthy Climate HCF20-10 MERV 11 Replacement Filter 20" x 25" x 5"